If you talk about how to do Keto and Weight Watchers, you might be thinking it’s kind of an oxymoron to try and do both. Both ways of eating have massive success, but what happens if you combine the two? Note: I will refer to both Keto and Weight Watchers as “diets”, though I feel Weight Watchers is not a diet. It’s definitely a lifestyle change and sustainable long term. Combining two diets can feel more restrictive than you’re used to with Weight Watchers alone, but it can also supercharge your results. If you have a LOT of weight to lose, have stalled on your weight loss, or are seeking more mental clarity, Keto may be something you’re interested in trying. Understand the principles of each diet separately. 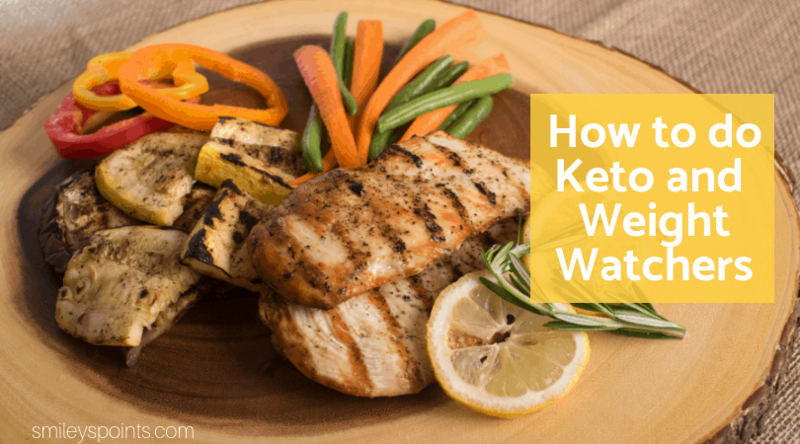 Understanding the basic concept of both Keto and Weight Watchers is crucial to your success when combining both diets. Keto is known as a high fat, moderate protein, very low carb diet. Compared to Weight Watchers, it seems restrictive. I love the freedom of being able to eat “whatever” I want, within reason, and staying within my points. You will not be staying within your points if you go crazy on fat bombs and bacon wrapped burgers with Keto. Weight Watchers is known as a lower fat diet. Tracking with Weight Watchers will help you with portion control. I’ve seen people literally talk about eating a pound of bacon in one sitting on Keto. You will not be doing that with Weight Watchers! With each diet, you want to drink lots of water and avoid sugary drinks like soda and juice. Also, don’t skimp on exercise! If you’re serious about losing weight, get that body moving! Why combine Keto and Weight Watchers? You may be wondering why someone would want to restrict themselves even more when either diet is working well for them. The number one reason I would recommend adding Keto principles into your Weight Watchers lifestyle is because of how you will feel when you get the positive effects of Keto kicking in! The mental clarity, the energy, and the overall health of your mind and body can’t be beat. Also, some people who have done Weight Watchers for a while find themselves at a plateau. Reducing carb intake is a simple way to signal your body to start losing weight again. Realize you may not follow either program to a “T”. Like I said above, Weight Watchers is (generally speaking) a lower fat way of eating. Keto is the exact opposite for most people. They both include high-ish protein and lots of veggies, but the fat differences are huge. Because of this, you may find yourself going over your daily points, or you may find yourself not eating enough fat. Knowing ahead of time that you may not be able to work both programs exactly simultaneously will help reduce your stress levels when it happens. The goal here is better health and weight loss, so as long as those two things are both happening, don’t freak out about the details. Take small steps by lowering your carb intake to under 100g a day, then under 50. With Keto you’re encouraged to go even lower, but you will most likely see great results if you stay under 50g of carbs a day while following the Weight Watchers plan. If you go to any Keto forum or group, you’re going to see lots of fat: fat bombs, bacon wrapped everything, and more full-fat cheese than you’re used to using with Weight Watchers. High fat = high points. For example, bulletproof coffee (which many swear by!) is 10 points. If you only get 23 points a day on Weight Watchers, that means you have 13 points left for the day. Because of the amazing 0 point food options, this could work… but it may not be very fun! To combine Weight Watchers and Keto, you’ll want to eat healthier fats like coconut oil, avocado, etc. This doesn’t mean you have to give up your full-fat cheese completely, just make sure you count the points if you add it in. Full-fat means full flavor, so you’ll probably enjoy it more than the 0 point fat-free cheese anyway! 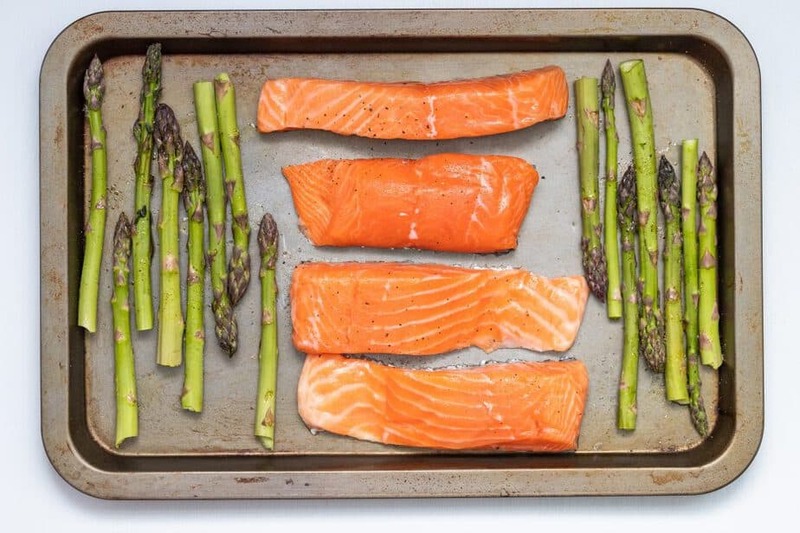 Weight Watchers Freestyle program focuses on lean protein options, and you should, too! Choosing chicken, shrimp, and turkey instead of bacon and full-fat beef will keep you within your points for the day while keeping your appetite in check. I found these in a Keto forum and found it helpful to have a visual. It seems combining Keto and Weight Watchers is possible, it’s just going to take a little extra planning. 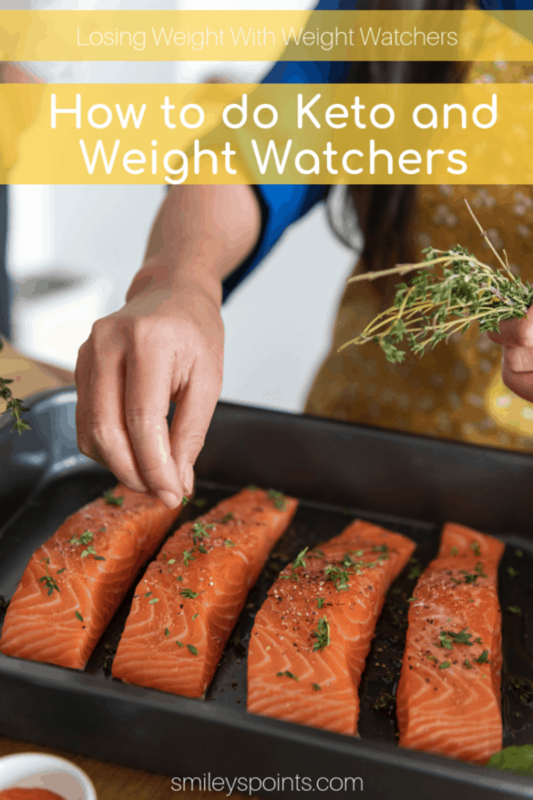 I will be adding some keto-friendly Weight Watchers recipes to my blog soon but in the meantime, check out these Keto Weight Watchers recipes from SkinnyTaste. Some people really need the accountability of Weight Watchers meetings every week. If you enjoy the Keto lifestyle but also need accountability, consider attending those meetings but eating the Keto way. Yes, the meetings are an added expense, but if you need the accountability then it is there. Depending on who you ask about Keto, limiting your fat intake and eating low carb instead of super low carb makes it “not Keto”, so I won’t say Keto and Weight Watchers can go hand in hand. However, combining Weight Watchers with a lower carb way of eating is definitely sustainable and can increase your weight loss dramatically. Low carb high protein foods are also going to keep you full longer, so you won’t be hungry even if you don’t use all of your points. Use the zero points food list as often as possible (choose the high protein, low carb options), too! I would love to hear about your success with Keto (or low carb) and Weight Watchers. Leave me a comment below! I been on ww for 7 months I love it it a great program for me.i agree when u say it's not a diet for me it definitely been life changing I have lost 60lbs so far 21lbs to go to get to my gole weight. I will definitely cantinue my journey of eating healthy. Do you need to calculate your macro percentages before doing this? If you're TRULY doing keto, you will count macros. But you can't really do keto AND Weight Watchers fully. It's a good idea to follow the principles of both. I like the idea of lower carb Weight Watchers recipes. Do you compile your recipies and shipping lists?